News & Trends> Product Trends > Packing - Handling - Logistic > Crab shells and tree fiber: A replacement for PET film? 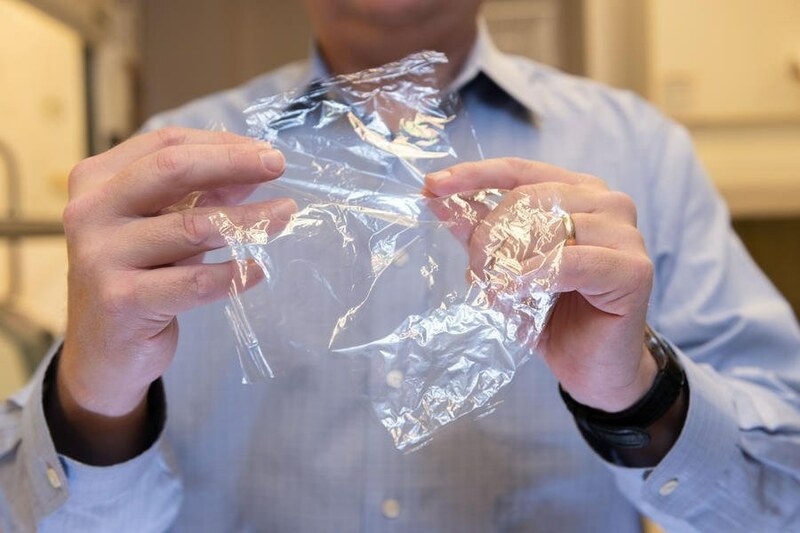 Researchers create a flexible, strong, transparent, and compostable film made from crab shells and tree fibers, which they believe could replace plastics such as PET for flexible packaging. Researchers at Georgia Institute of Technology have created a material derived from crab shells and tree fibers that they believe has the potential to replace the flexible plastic packaging used to keep food fresh. 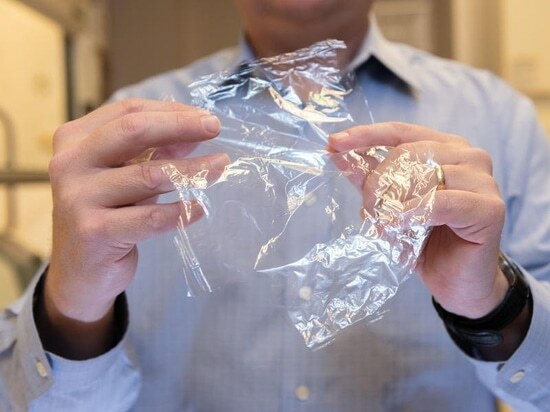 The new material, described in the journal ACS Sustainable Chemistry and Engineering, July 2018, is made by spraying multiple layers of chitin from crab shells and cellulose from trees to form a flexible film similar to plastic packaging film. Explains Meredith, cellulose, which comes from plants, is the planet’s most common natural biopolymer, followed next by chitin, which is found in shellfish, insects, and fungi. Using these materials, the team devised a method to create a film by suspending cellulose and chitin nanofibers in water and spraying them onto a surface in alternating layers. Once fully dried, the material is said to be flexible, strong, transparent, and compostable. Explains Meredith, the team had been looking into chitin for an unrelated reason when they wondered if it might have use in food packaging. 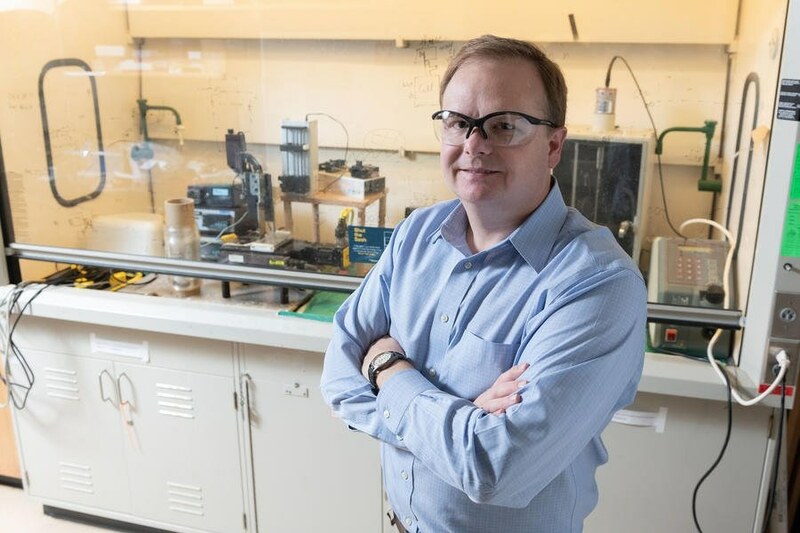 “We recognized that because the chitin nanofibers are positively charged, and the cellulose nanocrystals are negatively charged, they might work well as alternating layers in coatings because they would form a nice interface between them,” he says. Environmentalists have long looked for renewable ways to replace petroleum-based materials in consumer products. Says Meredith, with the amount of cellulose already produced and a ready supply of chitin-rich byproducts left over from the shellfish food industry, there’s likely more than enough material available to make the new films a viable flexible-packaging alternative. Still, he adds, there’s more work to be done. To make the new material eventually competitive with flexible packaging film on cost, a manufacturing process that maximizes economy of scale will need to be developed. Additionally, while industrial processes to mass produce cellulose are mature, methods to produce chitin are still in their infancy. 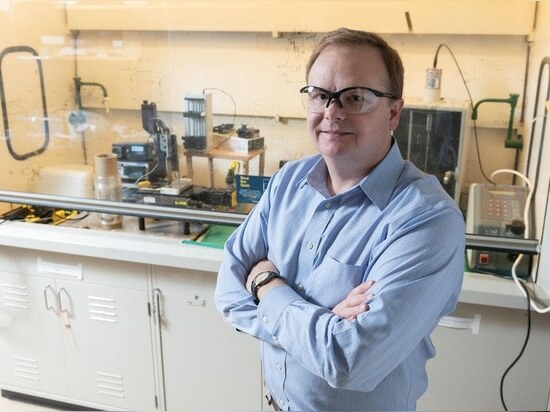 And, more research is also needed to improve the material’s ability to block water vapor.